Here it is, the 2017 Buick Encore! The refreshed Encore aims to improve the formula with refreshed styling, an updated interior with the latest connectivity technology and a 1.4L turbocharged engine offering more power, torque, a six-speed automatic transmission and push-button start! 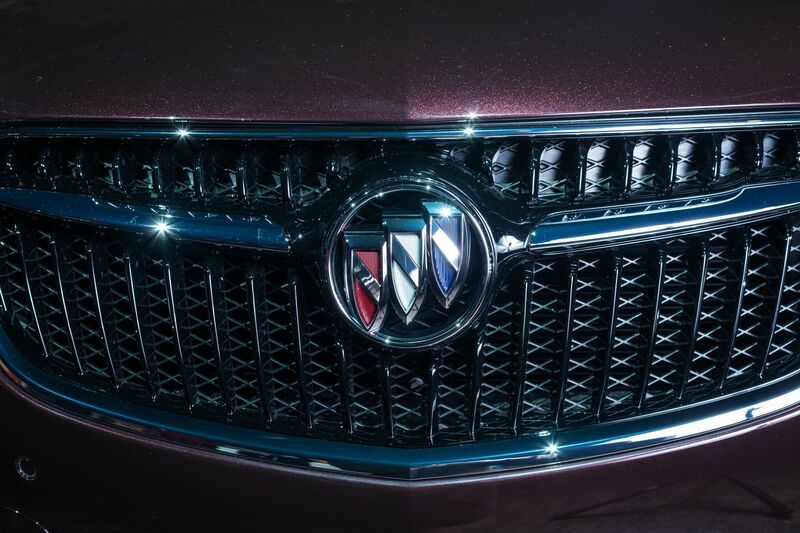 Up front, a new winged grill and new, larger headlamps and rear LED taillamp accent lighting help create a more refined, sculpted look (and uplevel models also receive full LED headlamps, for an even clearer view of the road). The bodywork itself is also more flowing and it looks a whole lot more premium in our eyes. Keen observers will also spot the fact the new Encore wears newly revised tri-coloured insignia, a new chrome exhaust outlet, body-coloured heated outside mirrors, a new 18-inch wheel design and three new exterior colour choices: Black Cherry Metallic, Ebony Twilight Metallic, White Frost Metallic. Step into the 2017 Encore and you’ll notice an elevated sense of luxury, thanks to premium touches like contrasting stitching, bright accent pieces and premium quality materials. An updated instrument panel flows across the interior and incorporates a new gauge cluster with a 4.2-inch driver information centre. Meanwhile, a new central instrument panel offer more intuitive access to a myriad of features thanks to a new, frameless eight-inch touch screen. Occupants can also sync and pair their phones with ease thanks to next-gen features like Apple CarPlay & Android Auto, which allow seamless phone control through the vehicle’s touchscreen. 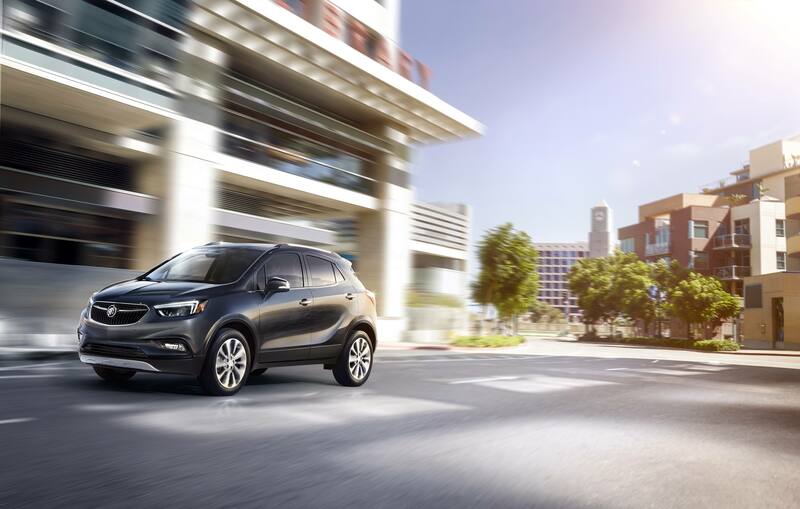 The 2017 Buick Encore comes standard with front-wheel, with all-wheel drive available as an option. It’s available in five trim levels: Encore (1SB), Encore Sport Touring (1SH), Encore Convenience (1SD), Encore Leather (1SL), and Encore Premium (1SN). 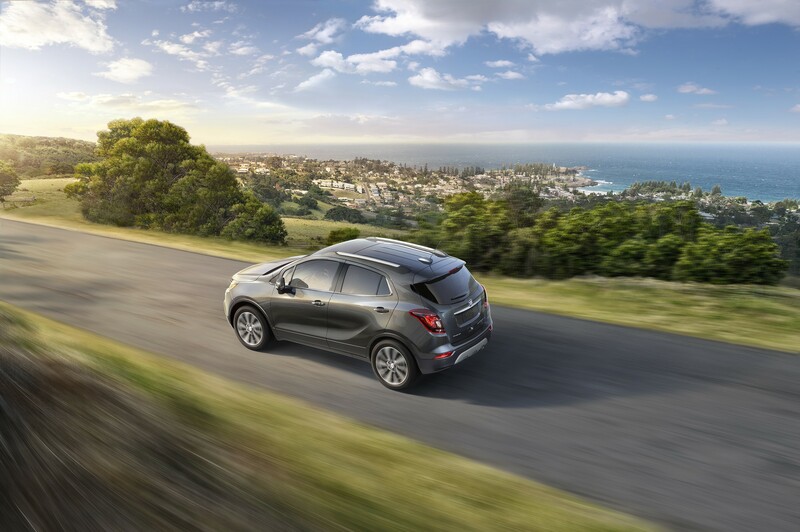 Book a Test-Drive in the 2016 Buick Encore?